Most basement floods occur as a result of groundwater buildup. As the ground beneath your home becomes saturated, water seeps through cracks in the foundation, leading to plumbing problems and extensive water damage not to mention structural problems if not properly addressed. We offer homeowners a simple, inexpensive way to stop the water from flooding your basement before it destroys everything: sump pumps. Our sump pumps are devices with built in sensors to detect water flow. When water reaches the sensor, the water pump activates and carries the water away from your home’s foundation. Sump pumps, water pumps, water sensors, and other pumps provided by our plumbers are usually wired into the house’s main electrical system. However, it is important to to have some kind of backup power source as well. Many of our sump pumps use car style batteries as a power back up, while others run off the water pressure in your home. 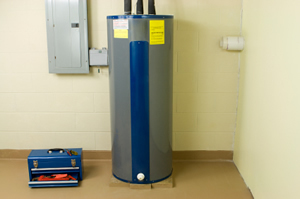 Since basement flooding occurs due to heavy storms or other factors that could lead to a power outage, it is important that your sump pump have a back-up battery system. We can help you keep your basement dry and safe from flooding. Just give us a call today to learn more about our sump pumps and other water pumps that will take care of wet basements and prevent basement flooding. With the wide variety of expertise our plumbers can ensure that the basement flooding and plumbing problems of our customers are fixed right. You can count on us, your reliable plumber, for all your plumbing and sump pump needs. Call us today to learn more or to schedule an appointment for service.